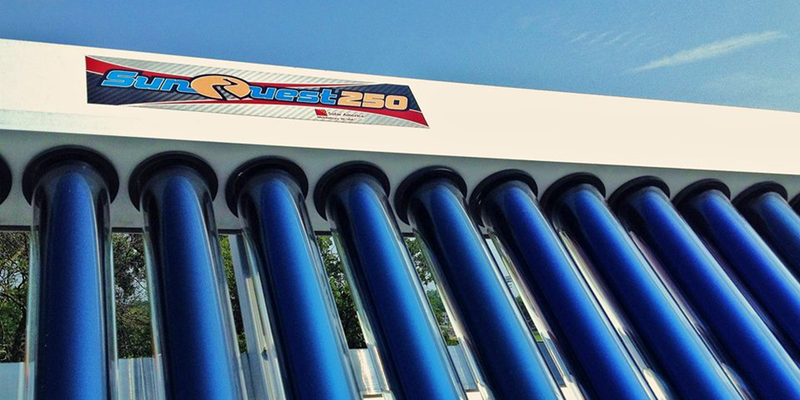 The SunQuest 250 gathers energy from UV rays and converts it into heat, producing up to 300,000 BTUs per solar day or 30,000 BTUs per hour, up to 10x more than competitive solar panels. No sun, no problem! The SunQuest 250 collects and converts UV rays into thermal energy even during rain, snow, clouds, and other adverse weather conditions. Solar UV Solutions can help you reduce your energy consumption and minimize your carbon footprint. As few as 15 SunQuest 250 collectors have been shown to significantly decrease fossil fuel consumption and Greenhouse Gas output. We know you have an overwhelming number of space and water heating options. Cost, efficiency, and environmental impact are major concerns when deciding on the best system for your business, and it can be difficult to sift through all of this information. Whether you’re remodeling your current facility or just breaking ground Solar UV Solutions is happy to help make the decision process a little easier. We will personally work with you to size, engineer, price, and determine system payback, and we also have a number of financing options available to help you save money and get your Business Thermal Heating project off the ground more quickly. The sun’s rays are free, reliable, and inexhaustible. We spend a lot of money to keep ourselves warm. In fact, in the United States heating and cooling directly accounts for 44% of our total energy consumption and about 35% of commercial energy costs. The amount of solar energy hitting Earth every hour is enough to meet our global energy requirements for an entire year. Nearly every natural process relies on the sun’s energy, including the creation of fossil fuels. So let’s cut out the middle man and obtain our energy directly from the source. 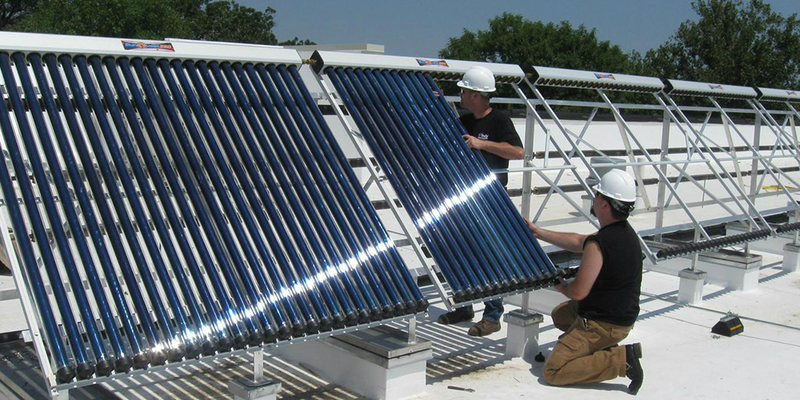 Solar thermal heating systems displace emissions of greenhouse gases and air pollution created by burning fossil fuels such as coal, oil, and natural gas. 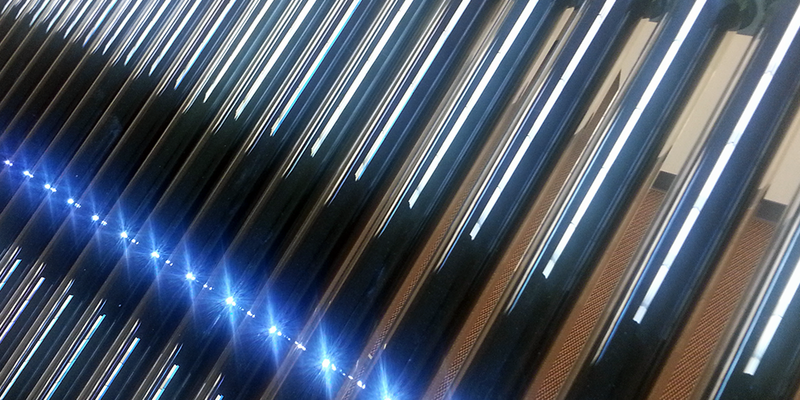 They work by harnessing energy from the sun and converting it into usable heat. The SunQuest250 distributed by Solar UV Solutions is the most effective and efficient solar thermal heating solution available. The system is 94% energy efficient as the vacuum tubes virtually eliminate heat loss, and it can produce up to 300,000 BTUs per solar day. Competing collectors generally only make around 10,000-40,000 BTUs per day and can cost significantly more to install and maintain. The system controller maintains a pre-set temperature and flow rate throughout the day, giving you complete control over your solar thermal heating system without the hassle or worry. 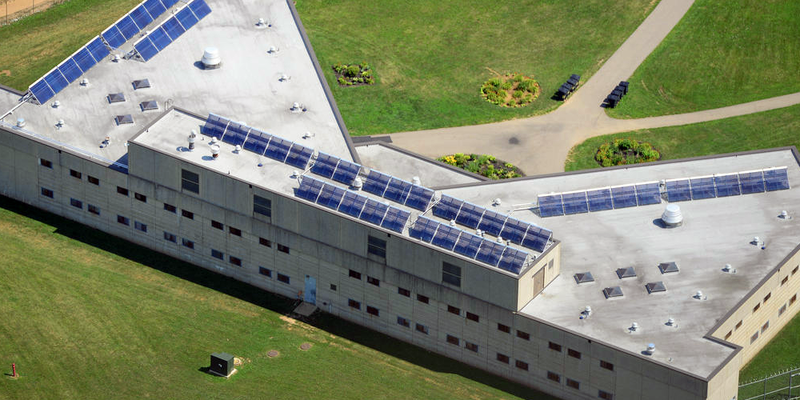 SunQuest 250 solar thermal collectors are currently installed in scores of commercial applications across a wide variety of industries, including government facilities, industrial processes, municipal buildings, agricultural installations, and academic institutions. Depending on usage and application, customers regularly save up to 50% of energy costs. Return on Investment (ROI) is generally within 5 years for all hot water applications and between 5 and 10 years for space heating applications. 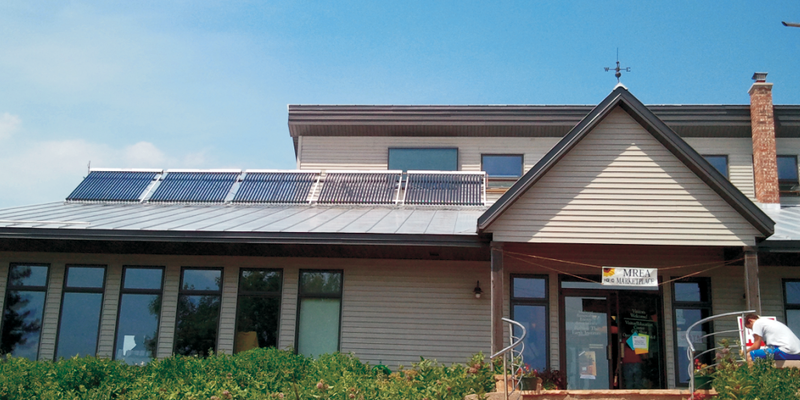 As the exclusive distributor of the SunQuest 250 solar thermal collector, Solar UV Solutions is committed to providing the most cost-effective, energy-efficient solution for all commercial heating and hot water needs. Join us in helping the world to reduce energy costs and decrease dependence on fossil fuels, one application at a time. 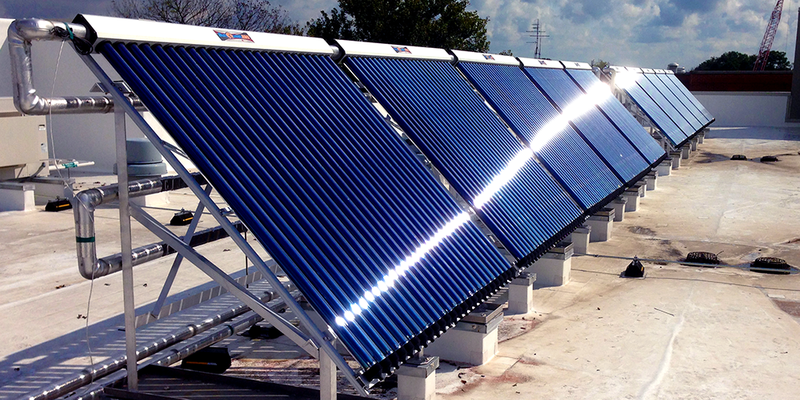 Contact us now to learn more about how your business can benefit from solar thermal heat.